Bombardier Commercial Aircraft’s Market Forecast 2017-2036 for Latin America predicts that overall traffic is expected to grow 5.1 percent annually and intra-regional traffic to grow slightly more than the world average at 5.6 percent annually over the next 20 years. Total deliveries in the 60- to 150-seat marked segment to Latin America are expected to number 1,050 aircraft or eight percent of total world deliveries of 12,550 aircraft. 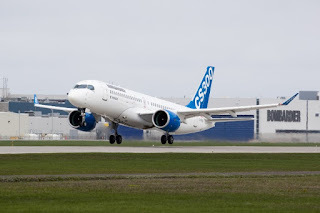 Latin America deliveries will consist of 500 large regional aircraft (60 to 100 seats) and 550 small single-aisle aircraft (100 to 150 seats), which will double the size of the current fleet. “With its dispersed population, the application of smaller-gauge aircraft is necessary in order to develop well-connected networks around the region. 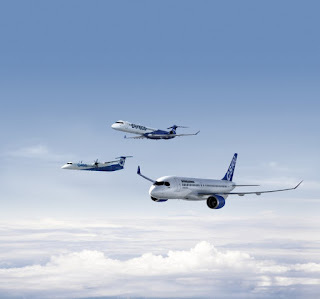 Our main strategic growth driver will be the intra-regional connectivity, particularly targeting the smaller communities, which are currently not being served, said Alex Glock, Vice President, Sales, Latin America and Caribbean, Bombardier Commercial Aircraft. We are the only manufacturer who can offer a unique portfolio of choice for the complete 60- to 150-seat market segment, in order to address the Latin America’s specific market needs,” he added. Bombardier market forecasts identify approximately 450 regional routes have been dropped in the past ten years. This represents about 16 million potential passengers per year that are not being served with direct flights. Compared to other similar regions, Latin America would need approximately 2,600 intraregional routes instead of the current 1,700 markets with regularly scheduled service. That creates a great opportunity to stimulate its connectivity.